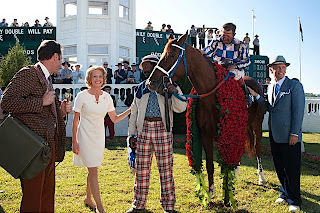 Walt Disney Studio's biographical underdog sports tale Secretariat is indeed named after the internationally beloved racehorse that defied all odds to win the Triple Crown in 1973. 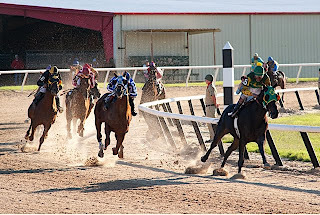 But as we learn in Braveheart screenwriter Randall Wallace's third directorial effort, the horse lovingly called “Big Red” by those in his very own private winner's circle is in fact just one of two heroes depicted onscreen. Before Secretariat was even born, he already had a champion in a Denver housewife who likewise, made phenomenal strides in a “man's world” upon taking the reigns of her aging father's horse breeding business, following the death of her mother. Ironically saddled with the title of an unwanted foal before he'd yet to breathe let alone gallop, Secretariat may have been originally given to Penny Chenery Tweedy (played by Diane Lane) as the loser's prize in a ceremonial coin toss, but the outcome was a win for the housewife who received in Secretariat the horse she'd wanted all along. Considering the endless stream of House of Mouse made and/or influenced underdog tales of athletic or academic triumph in the face of adversity to overcome tremendous odds that routinely flood the multiplex, helmer Wallace and Finding Forrester screenwriter Mike Rich had their work cut out for them in setting Secretariat apart from the rest. Yet, regardless of some of the film's shortcomings they've succeed admirably via the refreshing decision to chart Secretariat's progress through the vantage point of his equally passionate fellow outsider owner Penny, considering that it's set in a male-dominated industry over the course of the late '60s up through the early '70s and well before the sexual revolution had fully taken hold – particularly for women in our heroine's generation. 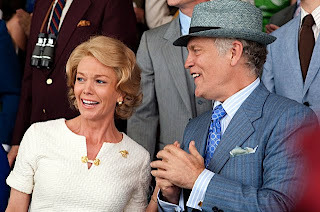 This being said and similar to the way that Secretariat lives to race, the filmmakers portray Penny as only at ease when in the company of Secretariat. 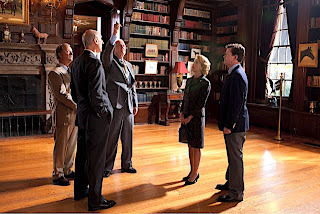 Moreover, it's obvious that Mike Rich had some genuine difficulties maintaining the same dedication for authentic dialogue and plot-points whenever Penny returns home to her family in Denver as contrived arguments and weak, dubious domestic resolutions concerning very serious issues threaten to screech the narrative to a dead halt. Despite the character inconsistencies, Lane shines throughout, giving us yet another three-dimensional portrait of a woman discovering and taking charge of her own passion and destiny. Perhaps less indicative of typecasting and more the result of Lane's interest in exploring a specific theme and character arc similar to the way that filmmakers often revisit their own obsessions picture after picture – although the genres are different, her coming-of-age (so to speak) role in Secretariat nicely complements similar turns in Under the Tuscan Sun , A Walk on the Moon etc. Firing on all cylinders as a well-intentioned albeit manipulative crowd pleasing formula movie, Wallace's at-times heavy-handed infusion of Christianity complete with a tonally awkward biblical quotation used in the beginning gets in the way of the film's universality by telling us the messages rather than letting us learn the morals for ourselves with what we choose to take away from the otherwise naturally inspiring storyline. But despite the fact that the horse is widely considered to have been the greatest racer in history as Secretariat was the only non-human included in an ESPN Top 100 list of athletes from the 20th century, the same praise cannot be attributed to Wallace's overly sentimental film, which pales in comparison to Seabiscuit . In addition to irresistibly scene-stealing supporting work by John Malkovich, the otherwise richly old-fashioned 2010 female-centric effort boasts stellar production values that have been lushly transferred to gorgeous high-definition complete with historical bonus features. 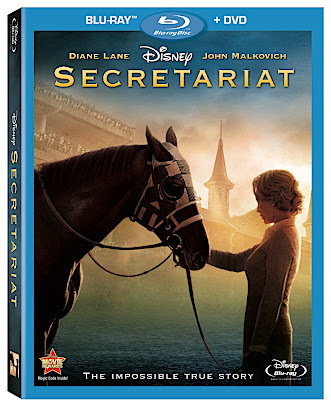 Weaknesses aside, overall Secretariat is well-worth a look to remind you of not just the glory of Secretariat but also of Hollywood's all-too-frequently unsung heroics of seemingly ordinary women doing extraordinary things with a little luck, brains and a lot of heart.